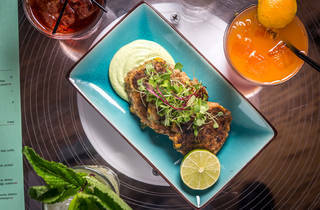 It’s South Miami meets north Brooklyn—night crawlers clamor at a glowing booze altar, while others graze on jackfruit crab cakes at banquettes canopied by palm fronds and banana leaves. Intermittently audible is the pulsing sound of a basement bacchanal—you easily forget it’s a brisk 40 degrees outside and this is a nondescript Williamsburg corner adjacent to a school playground. 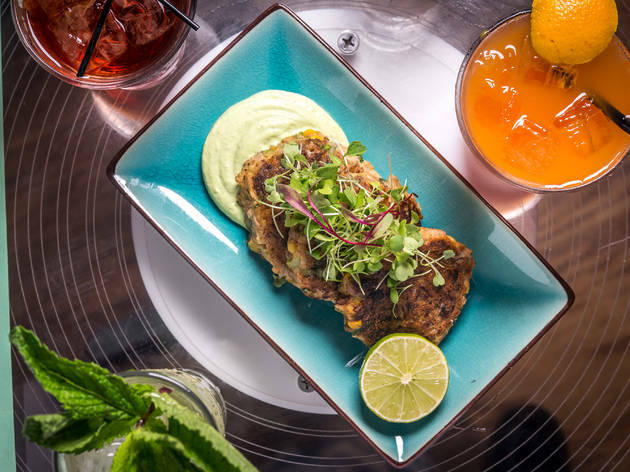 Even more head-scratching than the location is the unlikely mash-up of concepts from Battery Harris duo David Shapiro and Etan Fraiman—it’s part Latin-accented vegetarian restaurant, part cocktail parlor and part house-music haunt—fusing seemingly adverse conceits with devil-may-care swagger. 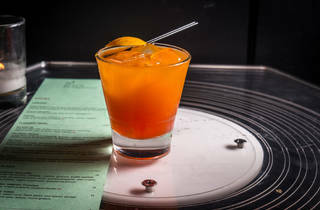 ORDER THIS: At the bar upstairs, nightlife vet Jeff Robbins (Kinfolk, Good Room) slings seasonal cocktails like a gin-fueled Beeez ($10), sweetening lemon juice with a splash of yuzu honey (hence the name), and also plays on classics, such as the Negroni-esque Me, Myself and I that layers nutty Diplomatico Anejo rum with sweet vermouth and bitter Campari ($12). 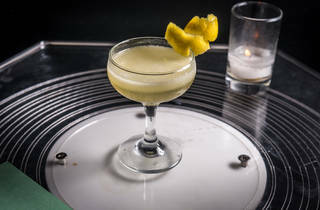 Anchoring the rotating list are two evergreen champagne cocktails that include a fruity St-Germain–splashed Demi-Monde ($12). GOOD FOR: A pre-party spread of veg-only fare packed with an umami punch and meaty textures. 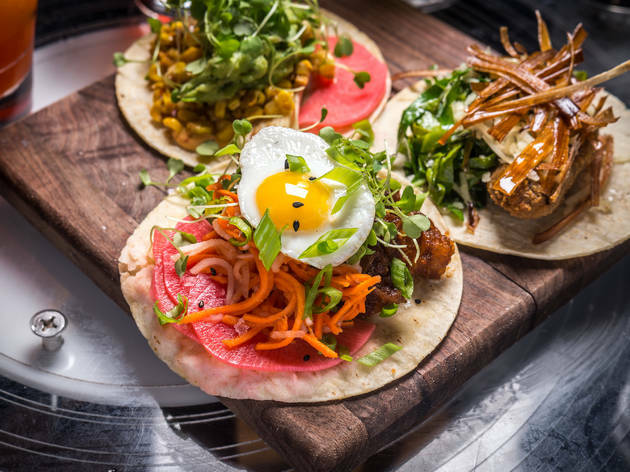 Chef Soozee Nguyen (Pickle Shack, Champs Diner) nails plant-based versions of Latin curios like habanero-spiced esquites ($8) and three-’shroom quesadillas slathered in truffle cashew crema ($12). 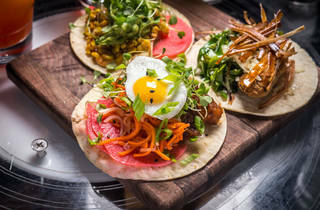 Artfully built tacos ($4 each) are the stars of the food menu: One variety snugs grilled hearts of palm with watermelon radishes, while another takes cues from Korean bibimbap, built with a quail egg, micro arugula and nuggets of gojuchang popcorn tofu that call up the crunchy-chewy bite of fatty pork. 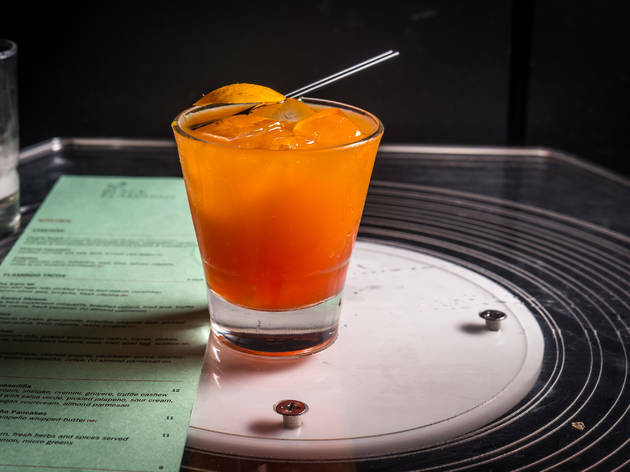 THE CLINCHER: While both bar and kitchen boast fresh-faced talent, it’s the pedigree behind the DJ booth downstairs—a vinyl-friendly setup with wooden analog Klipsch La Scala speakers— that lure regulars of Brooklyn’s electronic underground. Shapiro and Fraiman employ beat masters Eli Goldstein (Soul Clap), Philipp Jung (M.A.N.D.Y.) and Gadi Mizrahi (Wolf & Lamb) to reimagine a party house sans the bottle service, cover charge and, frankly, douchiness of its megaclub counterparts. 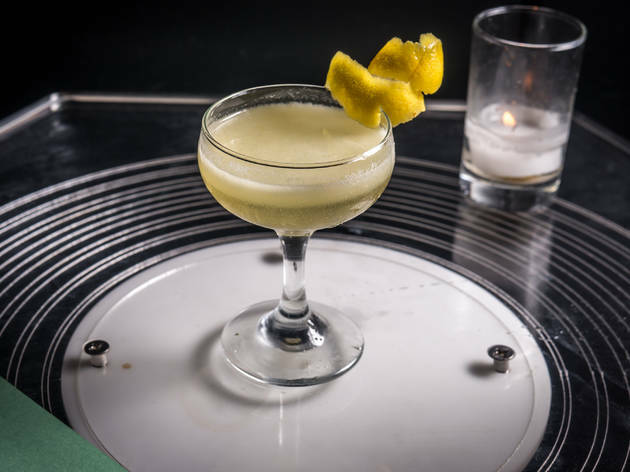 Instead, the charming throwback space, with a disco ball anchoring a cork-tile ceiling and tunes bumped by seminal spinners Justin Strauss and Justin Miller (DFA Records), gives house neophytes and old-timers alike equal footing to drink up and get down. I recently stopped by this new venue from the owners behind Williamsburg's Battery Harris and I will be back! 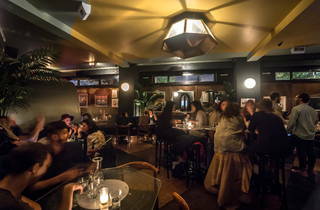 The dark interior and 70s-themed decorations make for a cozy atmosphere while you sip crafted cocktails like the Beeez and Demi-Monde at the bar. Head downstairs for an intimate, beehive inspired dance club with a top-of-the-line, vintage sound system. For those looking to nosh, the vegetarian menu impresses with items like corn, scallion and jalepeno pancakes, shallot jam and blistered shishito peppers. Totally not what I expected. Invited by legandary dj Nicky Siano to drop by & watch him spin. Nicky Siano said it was his favorite system to dj. So i went with one my cousins (out of towner who was one of his fans.) Numerous times times I had heard bout this spot, but what I heard didn't do it justice. 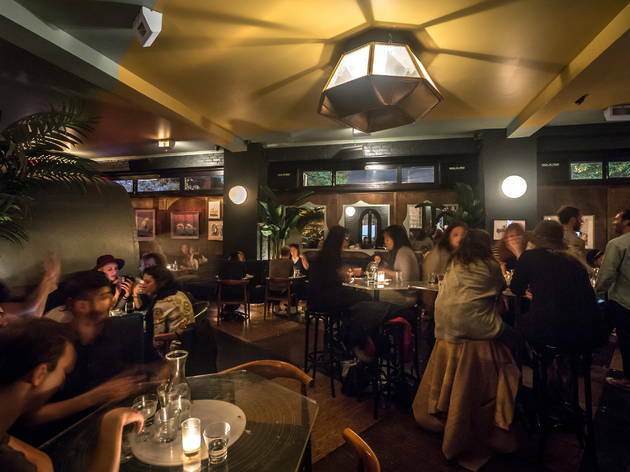 Upstairs offers a cozy & quant drinking parlor that sends you back to the 70s, where you can also get some food to nosh on. Great cocktails has a taste for all your senses. Going downstairs I didn't know what to expect, but it was great be thrown into a blast to the past. Nicky wasn't kidding that it was a great system!!!! Low ceilings, a bar & a sitting area in the far back. No one was sitting down thanks to the amazing dj set. The DJ booth was ground level and lets everyone see the legandary DJ be seen doing what they do best. It was amazing watching them get into spinning & you can't help but get caught up in the moment & let go. I spoke to the bartender and was told that there is a constant flow of iconic DJ dropping in to spin. So now...I'm be dropping in to enjoy this great establishment.